Microsoft has officially made the Office suite of applications, including Word, Outlook, OneDrive, OneNote, PowerPoint and Excel, available on the Apple's Mac store. While this is the first time the company is offering Office apps through Apple's Mac App Store, the applications only run in a semi-functional mode which eliminate actions such as creating and editing of documents, and sending/receiving emails, requiring Office 365 subscription or a subscription through in-app purchase to unlock the full functionality. Though the applications aren't any different from what Microsoft is offering on its website or from customers' Office 365 control panel. The distinction is only noticeable in those covered by Microsoft's retail "perpetual" licenses, which include Office Home & Student editions 2019 (priced at $150 for a one-time purchase) and Office Home & Business edition 2019 (priced at $250). But it remains unclear if Apple will require the usual 30% off the cap of Office 365 in-app purchases, as is the case with all other apps, or whether Apple and Microsoft has arrived at a different revenue agreement. The Mac App Store purchase is also open to enterprises by using the Apple Business Manager to share the Office 365 applications to its employees covered by the corporate-grade subscriptions for Office 365 Business or Office 365 Enterprise E3. Acquiring Office 365 through the Mac App Store has the advantage of prompt delivery of updates and upgrades, rather than waiting on Microsoft AutoUpdate. 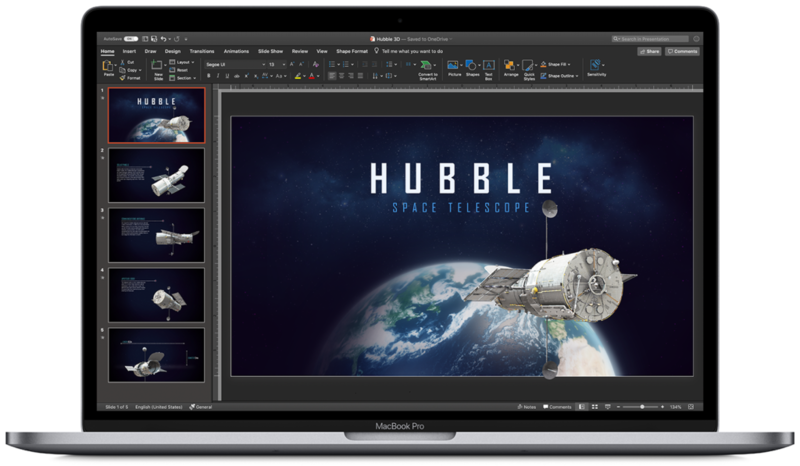 The Office 365 experience will be tailored to Mac and macOS, like Dark Mode, Continuity Camera, OneDrive Files on Demand, and Touch Bar support on the MacBook Pro. And you can access your content from any device, also coauthor with anyone around the world in real-time to create more impactful content with less effort. What's the implications of Microsoft bringing Office apps to Mac App Store?